The 2017-18 President’s Commission on the Status of Women. The Washington State University President’s Commission for the Status of Women topped off a productive 2017‑18 academic year with a gender-based salary pilot study. The presidential commission partnered with the Administrative Professional Advisory Council and the Association for Faculty Women to examine faculty salaries in the College of Arts and Sciences and universitywide staff administrative manager staff salaries for potential inequities. While this first study was inconclusive, commission past chair Katie Cooper said it’s a good start. It also puts WSU closer to its peer institutions, many of which conduct salary studies every year. Build a standing salary study committee. Develop a statistical model for the study. The study, along with ongoing efforts on other issues, is part of the commission’s role as a key advisory panel to university leadership. Other recent accomplishments include support for on‑campus childcare services. The commission’s subcommittee on Employee and Student-Parent Life (ESPL) focused last year on supporting the WSU Children’s Center (WSUCC) as it dealt with multiple funding cuts. “These cuts in funding significantly hinder the center’s ability to provide stable staffing, affordable tuition rates, and an overall quality experience for enrolled children and their families,” the subcommittee stated in the annual report. The subcommittee also discovered that $200,000 of the center’s budget from WSU administration was not from Planning Budget Level (PBL) funds, but was an allocation from the administration’s central budget. If those funds are moved elsewhere, the center, which served about 190 families last year, would be at risk for failure. With all of these concerns about childcare on the Pullman campus, the subcommittee also looked at childcare options across the WSU system. The Pullman and Vancouver campuses both have childcare centers available to students and employees, but there is still a “pressing need” on the Tri‑Cities, Spokane and Everett campuses. The commission recommended to President Schulz that WSU re‑establish and improve central fiscal support for the WSUCC in Pullman and support childcare at all campuses. The commission also successfully launched the annual Women’s Leadership Conference, building on the popular conference previously held biennially by the University of Idaho. The conference is a collaboration between WSU and UI, with each university alternating as the primary host. WSU took the lead this year, planning a 300‑attendee conference in just four months. 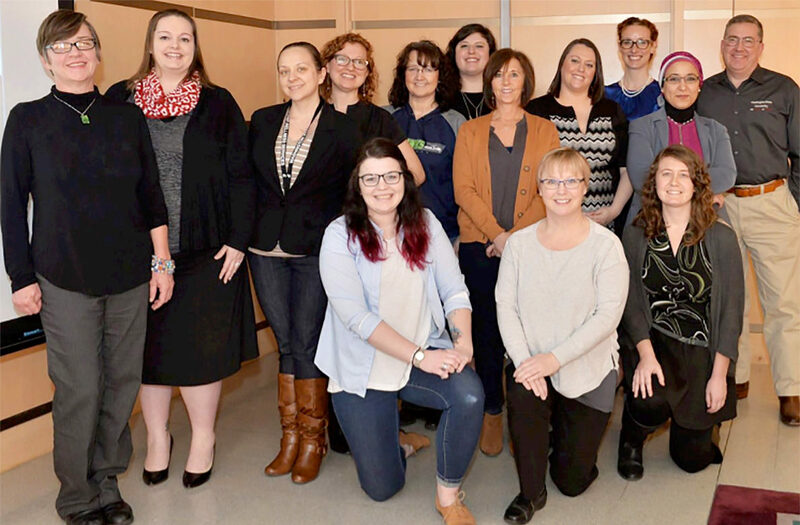 The successful April 23 event provided attendees with hands‑on leadership training, networking opportunities, and inspirational motivation from women leaders in the greater Palouse region. The commission recommended to President Schulz that WSU continue partnering with UI for the conference and perhaps increase funding to accommodate more participants and bring in higher profile speakers. Lactation spaces: There are only three official lactation rooms on the WSU Pullman campus. One in the French Administration building, one in Wilson‑Short Hall, and one in the Chinook. The commission recommends increasing the number of lactation rooms and spreading them out across campus. Cooper said the commission will likely include the other campuses in this initiative, as well. Woman of the Year/Women of Distinction Awards: While the awards and the associated Women’s Recognition Luncheon remain high profile, the commission is concerned about the sustainability of the event and recommends more formal financial and administrative support. University level awards vetting process: In wake of the #MeToo movement, the commission recommends a self-reporting process for university awards. Before awards are publicly announced, the awardees would be notified and must affirm they are not under investigation for professional misconduct. If they are, they must decline the award. Transparency in upper administrative searches: To increase transparency, the commission recommends that the demographics of the candidate pool for all administrative searches are reported to the Office of Equal Opportunity and publicly shared when finalists are announced. Right now, many search firms don’t automatically report that information. Staff mentoring program: The commission recommends developing a staff peer-mentoring program, with at least one representative from HRS, a dedicated staff person (part-time), and an annual budget of $5,000. The current chair, Lauren Wells said when the commission put out a survey about the potential program, 140 respondents said they would love to become a mentor. For more information about the commission’s recent accomplishments and recommendations, read the group’s full 2017‑2018 annual report, attend one of the general membership meetings, which are typically the third Friday of the month at 1:10 p.m., or email info.csw@wsu.edu.